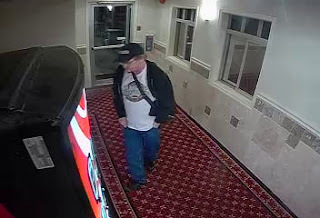 06-20-2016 - On Monday June 20, 2016 at 1:50 a.m. an adult Caucasian male was observed on video surveillance attempting to break into the vending machine, inside the Days Inn located at, 301 Wright Street in Revelstoke, BC. 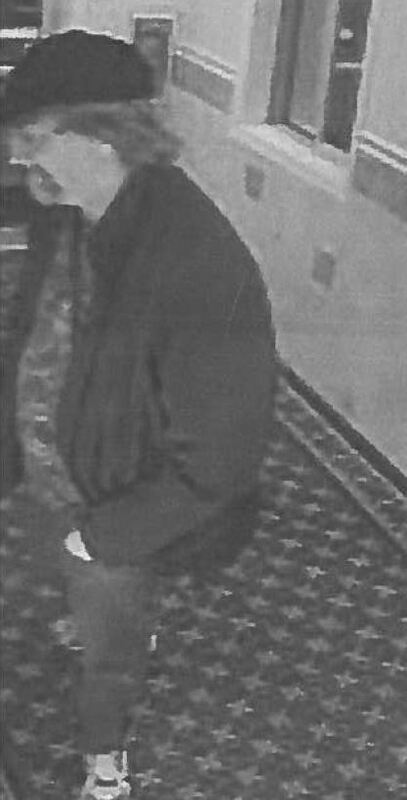 This male was wearing a black jacket, baseball cap, blue jeans and running shoes. This male has a moustache with goatee and prescription glasses. Previously, on Thursday January 7, 2016 at 11:40 a.m. Revelstoke RCMP attended the Days Inn as the same male was observed on video surveillance breaking into the vending machine and stole cash. This male is believed to be associated to a silver mini-van, possibly a Chevrolet Venture. Revelstoke RCMP are seeking the public’s assistance in helping to identify the male in the attached photographs. If you have any information about this crime or any other criminal act, please do not hesitate to contact the Revelstoke RCMP at 250-837-5255 or Crime Stoppers at 1-800-222-8477 or visit their website at www.revelstokecrimestoppers.ca.